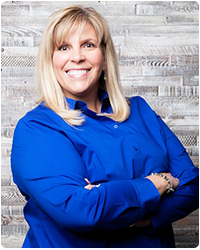 Gayle has been working with orthodontic patients for many years and loves the orthodontic industry. Her first experience with orthodontics was to undergo braces treatment herself. After having her bite fixed, she couldn’t believe the difference it made for her. Ever since then, she gets excited every day to make that difference in the lives of others. She loves teaching patients about orthodontics and helping them get started on their way to a new smile. Whitney loves to make patients’ days a little more fun when they come in for appointments, and she has made it her personal mission to make the scheduling process easy and convenient. She grew up in South Jordan and loves working as an orthodontic assistant in Herriman. Caitlin grew up in West Jordan and loves to call Utah home. 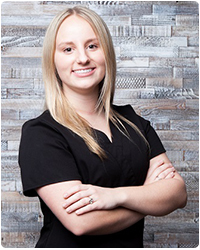 She went to school for dental assisting and has enjoyed her work in dental and orthodontic offices ever since. She is currently attending Utah Valley University, where she is majoring in Community Health. She enjoys being involved with service in the community as well as abroad, and she has traveled to Guatemala to provide humanitarian work. 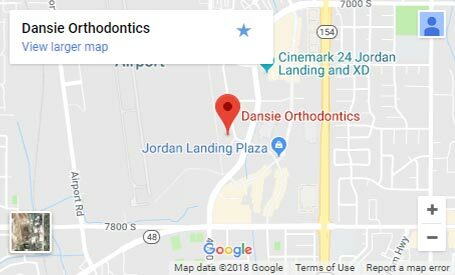 Caitlin loves working at Dansie Orthodontics at the Herriman orthodontics office, and she is excited about providing an awesome experience to patients and making them smile! 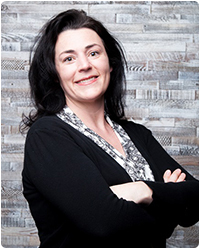 You may hear Robyn’s voice when you call for an appointment at Dansie Orthodontics. Robyn grew up in South Jordan and works at the Herriman orthodontics office. 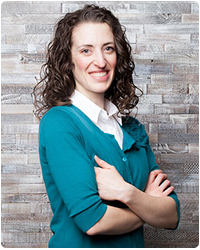 She had braces as a teenager and again as an adult, so it’s easy for her to relate to all of our patients in braces. She loves healthy food, yoga, and spending time with her children. 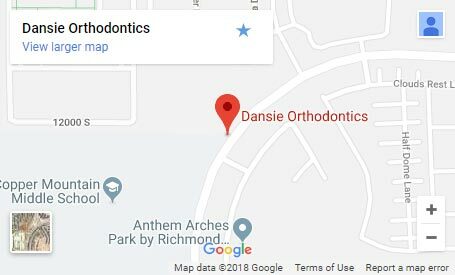 Dansie Orthodontics has some very talented patients in our Herriman and Duchesne offices, and Michelle loves to write about all of them. 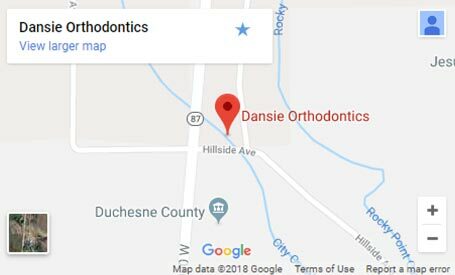 You may get a call from her to share some of the awesome activities or hobbies you are doing while you are in braces or Invisalign from Dansie Orthodontics. 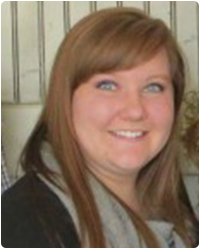 When she isn’t listening to her patient’s wonderful stories, Michelle enjoys spending her free time writing and reading. Eden works in the Duchesne office of Dansie Orthodontics. She loves to travel around the world and has been to England, France, Switzerland, Austria, Germany, Liechtenstein, and Mexico. She enjoys reading anything she can get her hands on, as well as attending Comic Cons. She also has a great time playing softball, kicking around a soccer ball, and swimming. 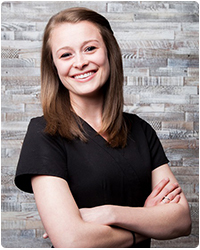 Eden grew up in Heber City, Utah, and has worked in the Duchesne orthodontics office for three years.